I’m prepared to sports-car myself from here. Knock the night out of June. Walk on my palms over brick archways. Shift the shifters. All along, an ocean was bearing down on the party, hunching up behind the crooks. Loss is forever but we cheer for sides. It’s always half past. We should be doing more than just walking. Smoke hates us. I’m always on the lookout for drinking buddies. She’s a ship of stolen gold. Someone’s reason for jumping. A swung shovel. A distance crawled. There’s something she’s been roasting. A tableau: three skinny kittens. She doesn’t want to listen and he can’t talk because she is. To ghost himself in a linen closet. Or stay and fight? Canons will be fired. Tomorrow, mirrors. Crescent moon a stopped cradle. Wine glass sizzles in the fireplace. Stand her up, so she can sing. Blow the stars off her cake. A moat widens in her chest. His fists haunt. Clothesline of crimes stretches across the acre between them. Mom was a monster after wine; dad kicks at the rubble. Anorexic daughter smokes weed every night from a purple bong on the front porch. Hunger-struck, a tight lotus in the Adirondack chair. Night gets on top of her, she can’t breathe. Cedar hedge becomes a line-up of skinny green bottles aimed at an off-kilter moon. Racoon with kits staggers under the streetlight. The highway to this town is lumped with road kill. mixes with fog off the river, muffles the crying. 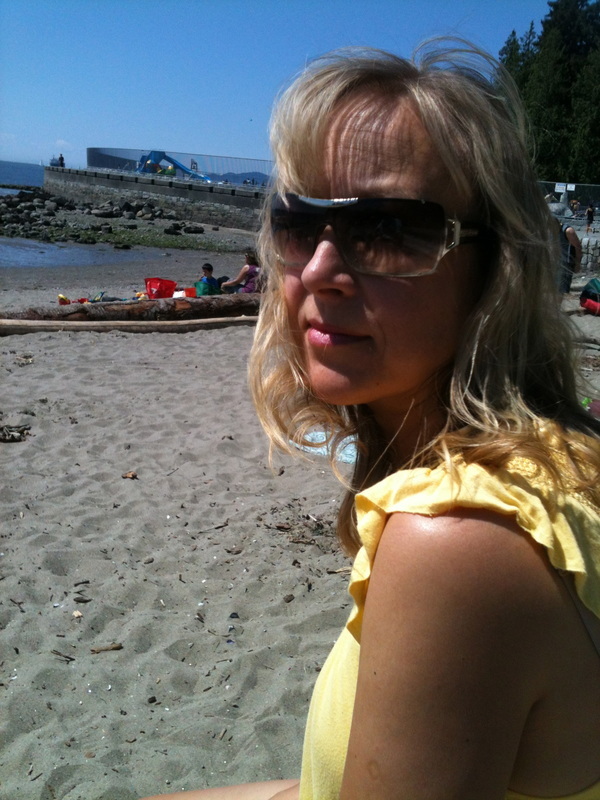 TANJA BARTEL is a writer and teacher in the Vancouver area. Her work has been published in Grain, CV2, New Poetry (newpoetry.ca), The Maynard, emerge anthology, The Prose Poem Project, and Right Hand Pointing. She was shortlisted for the Event Magazine Creative Nonfiction Contest in 2014. She is currently completing her MFA at the University of British Columbia.